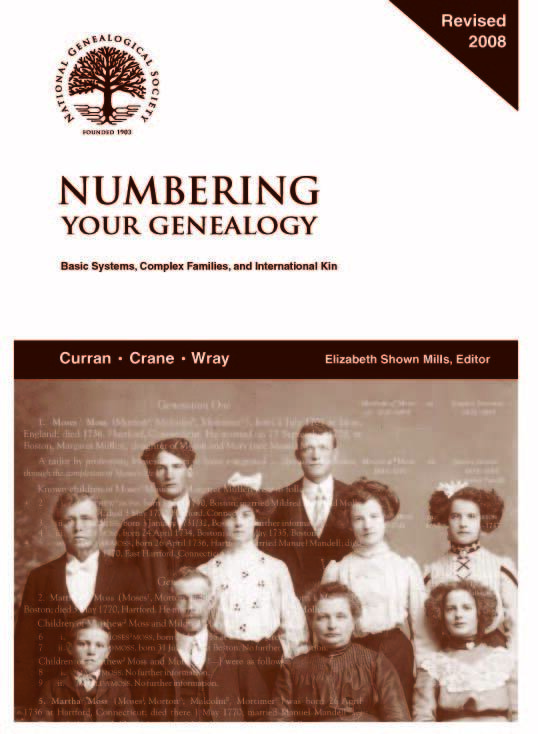 Revised in 2008, this edition of Numbering Your Genealogy: Basic Systems, Complex Families, and International Kin clearly defines numbering methods and differences between the National Genealogical Society Quarterly (NGSQ) and Register systems. The content also covers non-traditional families, including adoptions and step-relatives; and describes how to number immigrant ancestors in a family history. A “must have” for every genealogist’s reference book collection. Numbering Your Genealogy is available in print and as a PDF in the NGS online store. By Joan F. Curran, CG, Madilyn Coen Crane, and John H. Wray, PhD, AG, CG, Numbering Your Genealogy was edited by Elizabeth Shown Mills, CG, CGL, FASG, FNGS, FUGA. Mills is a former editor of NGSQ and author of more than 500 publications, including Evidence Explained, Professional Genealogy, and QuickSheet series. First visit to the new site? Click here to reset your password.